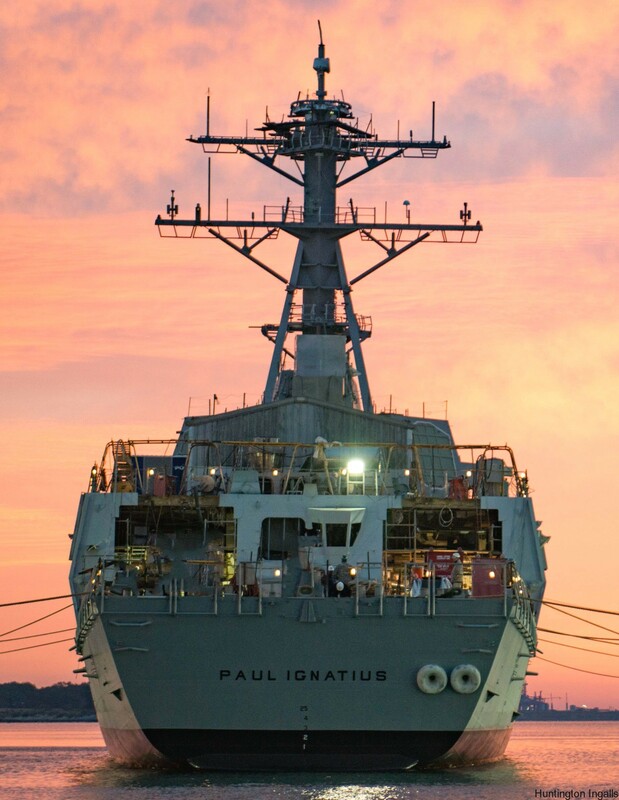 WASHINGTON (NNS) -- Secretary of the Navy Ray Mabus hosted a ceremony today to celebrate the recent announcement that the next Arleigh Burke class guided-missile destroyer will be named USS Paul Ignatius. "The Ignatius will be in our fleet for three to four decades. It will sail virtually every ocean of the world," said Mabus. "It will be a reminder of the experience, and the wisdom of Paul Ignatius." The ceremony was held in the Pentagon and attended by former Navy Secretary Paul Ignatius, his family and current and former civilian and uniformed naval officials and guests. In addition to Ignatius, five former Secretaries and acting Secretaries of the Navy were in attendance to commemorate the occasion. "I was really quite overwhelmed when Secretary Mabus told me that this ship was going to be named in my honor," said Ignatius. "The Navy meant a lot to me in my life." 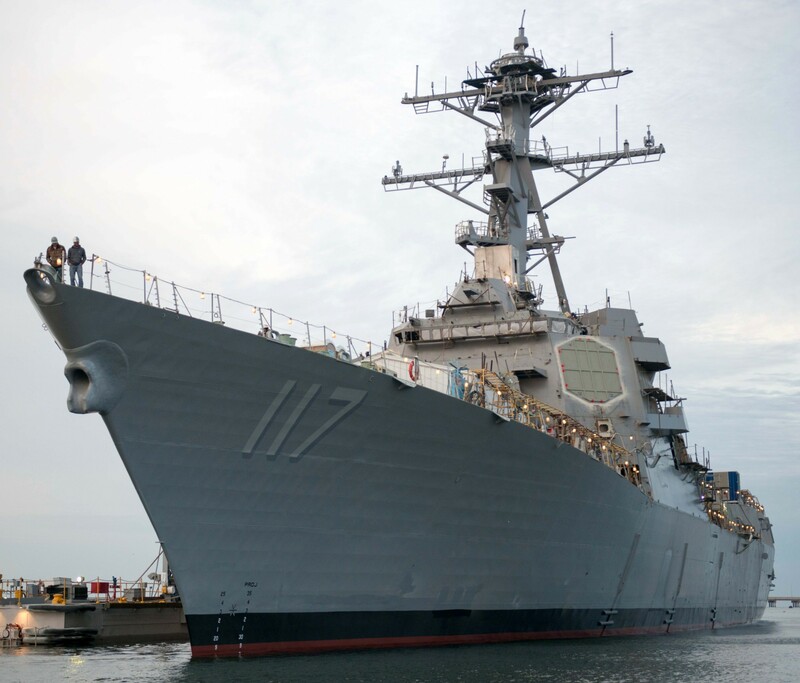 The future USS Paul Ignatius (DDG 117) will be the first naval ship to bear this name. Paul Robert Ignatius was an American government official who served as Secretary of the Navy between 1967 and 1969 and was the Assistant Secretary of Defense during the Lyndon B. Johnson administration. Ignatius was born in 1920, Glendale, California, the son of Armenian parents who migrated to the United States, Elisa (née Jamgochian) and Hovsep "Joseph" B. Ignatius. Ignatius is a trustee of the George C. Marshall Foundation and member of the Federal City Council and the Washington Institute of Foreign Affairs. He has served previously as chairman of the Board of Trustees for Logistics Management Institute; chairman, president and CEO of Air Transport Association; president of The Washington Post newspaper and executive vice president of The Washington Post Company; Secretary of the Navy; Assistant Secretary of Defense (Installations and Logistics). He founded Harbridge House, Inc., a Boston management consulting and research firm. Ignatius received his bachelor's degree from the University of Southern California (Phi Beta Kappa and Phi Kappa Tau) and his MBA degree from Harvard Business School. He served as a commissioned lieutenant in the U.S. Navy in World War II.